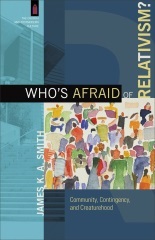 Here’s the longer version of my review of Who’s Afraid of Relativism? by James K. A. Smith. Edited versions were recently published by The Gospel Coalition (here) and Reformation21 (here). For some time now James K. A. Smith’s agenda has been to enter into critical but charitable conversation with postmodernist writers, looking for points at which their arguments resonate with Christian claims and undermine the common enemy of modernism. I believe this is a worthy and worthwhile project, although I have questions about whether Smith is sufficiently critical, as I will indicate below. 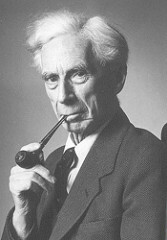 Smith’s 2006 book Who’s Afraid of Postmodernism? purported to “take to church” three leading postmodernists: Jacques Derrida, Jean-Francois Lyotard, and Michel Foucault. He argued that some of the distinctive claims of these writers have been misunderstood and misrepresented by evangelicals; properly understood they offer epistemological insights that ought to be affirmed by Christians. The hope was to introduce a lay Christian audience to “the real postmodernism” and to foster, if not a close friendship, at least a fruitful mutual acquaintance.